Our Universal Face Shield straps on to headgear easily with velcro straps. 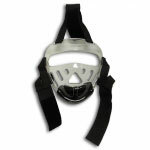 It will fit nicely on most foam sparring gear like Impact, Macho Dyna, and Macho Warrior. 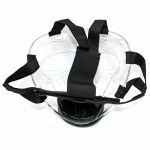 All three straps meet in the back of your head, easily Velcro together, and are adjustable. 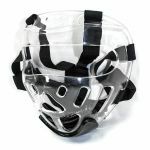 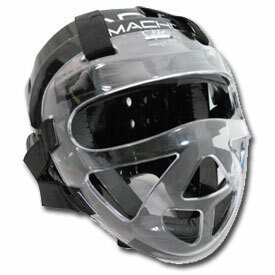 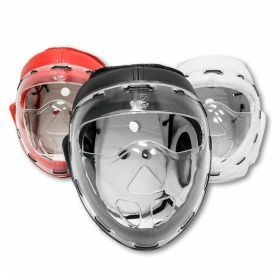 The clear plastic shield has a foam chin guard for comfort and safety.